Camille learned her craft in Bordeaux, France working at very prestigious Chateaux there. She moved to California and was the winemaker for one of Napa's most sought-out cult wines, Merus ($150 a bottle). But like all real artists, Camille wanted to make her own wine, her own way -- and Angels allow her to do just that. She's uncompromising and fiercely protective of her wines every step of the way. We didn't hold anything back with Camille. She gets to make her dream wine, no holds barred, and the results are spectacular. I am a French native woman, I graduated in 1999 from Lycee la Tour Blanche in Bommes (Sauternes) after studying for 4 years hands on in several chateaux in the Bordeaux region, I moved to Napa Valley in year 2000. When I arrived in Napa I started to work with Merus, it was at the time, a garage wine made by two mad wine lovers! I fit right in the blend! We made the most incredible wines with lots of passion and the love of the wine. We were dedicated and committed to produce the best wine with no compromises. When Merus sold in 2008, I became the head winemaker and continued on the passionate work of crafting the wines it was like I had been invested of carrying the passion that the founders injected into me. It was a wonderful inspirational journey and I loved every part of it. In 2013, I decided to join the nakedwines.com team and now the angels are funding my project. I am crafting white and red wines with some of the same grapes and with the same integrity like I always did and will always do. 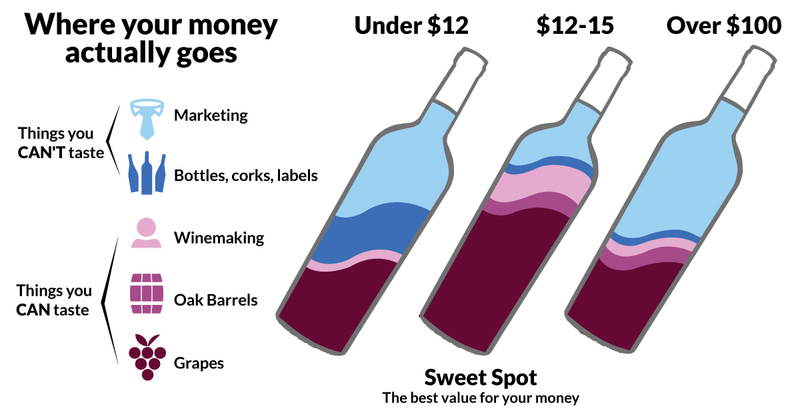 The only difference is that at nakedwines.com the consumer will get the wine essentially at FOB price, the price a winery usually will give to its distributors. This is possible because we cut on the cost of packaging and the marketing. We interact directly with our angels and their funding generates the cash flow necessary to sustain best and highest levels of production. In a couple of years, they have established in the US a large amount of followers, and with the consumer notation system, the word is getting spread among wine lovers and the crowd of angels is growing steadily.